The sculpture is "Regardless of History" by Bill Woodrow. 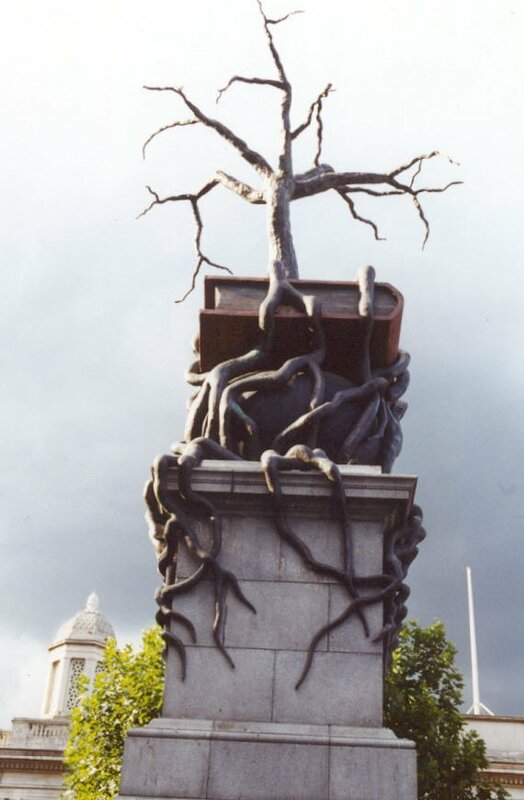 It was displayed on the Fourth Plinth in Trafalgar Square, London from March 2000 - May 2001. It is an allegorical bronze depicting a book on a severed head and portrays man`s inability to learn the lessons of the past. The tree and its roots symbolize the triumph of nature over civilization.